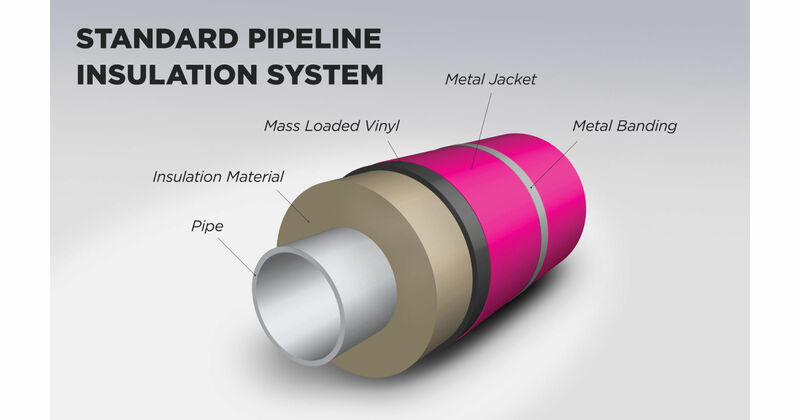 Metal jacketing is susceptible to corrosion, an issue that can end up being extremely costly and time-consuming to remedy. When corrosion occurs on the interior surface of the jacketing, it is very difficult to detect until the problem worsens in severity to the point that the metal is completely penetrated, leaving visible holes. Corrosion of this type is often assumed to have begun on the outer surface of the metal jacketing, as this is where the holes actually become visible; to an untrained eye, it can be difficult to tell where the corrosion started. It is possible for the process of interior corrosion to begin almost immediately after installation has been completed, with holes appearing in as little as just six months. Unfor­tunately, this corrosion cannot be repaired once it has started. After holes have formed in the metal jacketing, the only possible solution is to completely replace it; this is a very expensive endeavour in terms of both time and money. Ensuring proper protection against corrosion can only be achieved with prevention in the first place. BS Stainless offer a variety of unique methods to ensure that interior metal jacketing corrosion does not become an issue; one of these methods is DryMet, our very own metal jacketing moisture barrier which incorporates Surlyn for added protection. DryMet features a laminated polyfilm on the underside of metal jacketing, which prevents any metal-to-metal contact and therefore inhibits galvanic corrosion. Its three layers ensure that pinholes are eliminated, preventing water ingress and thus corrosion. Using our revolu­ti­onary, purpose-built machinery, we can successfully apply Drymet to stainless steel, aluminium, type 1 or type 2 aluminized steel , Aluzinc, Aluzinc ZX Petrochem​ and galvanized steel. Discover more about DryMet and other metal jacketing solutions on the BS Stainless website.